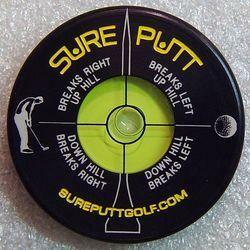 Perfect for smaller greens with up to 6 cup holes. Sensitive to even gentle breezes, giving golfers a better determination of wind direction. Click on "Flag Color & Number" and large picture at right will change to flag color & number of your choice! Numbers are silkscreened to one side of the flag only. 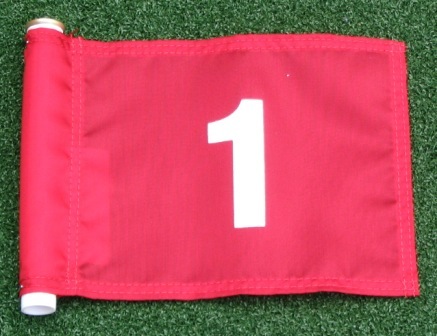 We also offer complete nine Numbered Sets (1-9) and (10-18) in this color combination for use on large greens and miniture courses. These are special order items and may take up to 1 week to ship. From william clark of grosse pointe farms, Michigan on 6/27/2016 . From Stone of Thousand Oaks, California on 4/27/2015 . From Frank Markey of Dallas, Texas on 4/29/2014 . From Richard Cox of Rancho Palos Verdes, California on 3/18/2014 . From Denise Arsht of Oak Park, California on 2/26/2014 . 6/20/2012 – I manage a commercial development with a putting green. I need to order 6 small flags (poles and buckets are good) and one . . .
6/24/2010 – I need a set of cups, short practice poles and 1-6 numbered flags. I prefer red flags with white letters, but blue with white . . .
6/13/2010 – I have a 3 hole artificial putting green in the backyard. 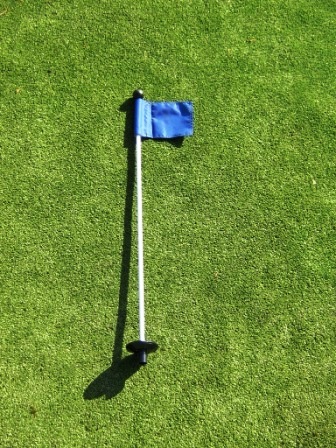 I need to order the pole and flag for 3 holes...can you direct . . .